For those of us in snowy climates, fat biking extends the mountain biking season to year-round. It provides good exercise, allows you to explore favorite trails in winter, and is a heck of a lot of fun. 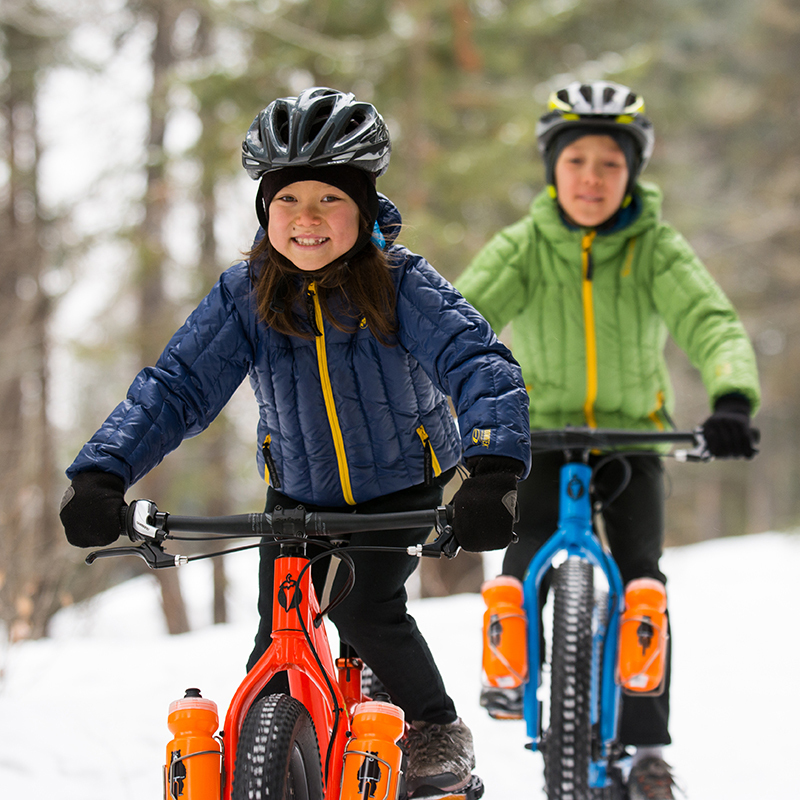 And now, more and more bike manufacturers are making fat bikes for kids as well. 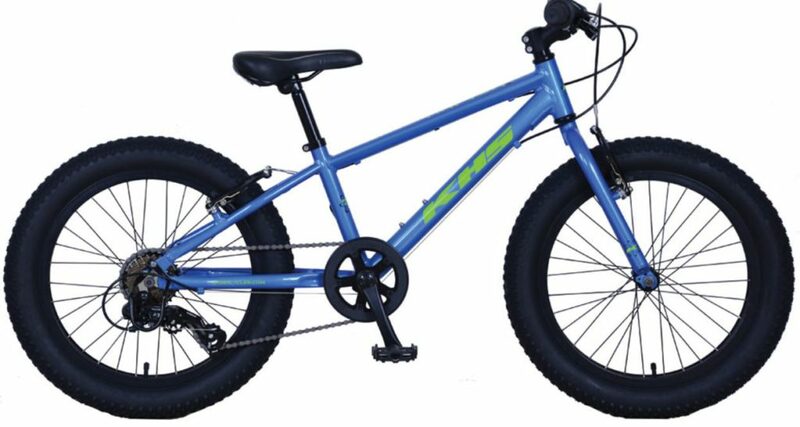 My 4-year-old is sad that there isn’t a fat bike small enough for him, but there are plenty of options in the 20″ and 24″ fat bikes (ages 6+). (If you’re not sure what that sizing means, keep reading). This is a list of my five favorite kids fat bikes, as well as some runners-up. 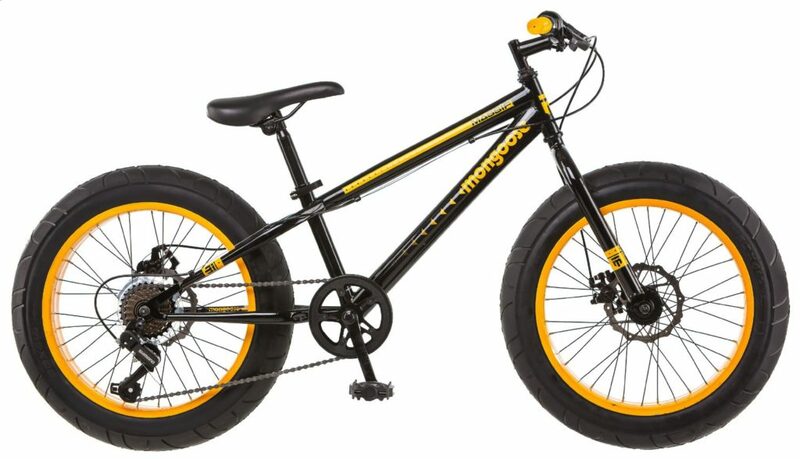 The honorable mentions include several mid-fat and plus-sized kids bikes that work well on snow and sand as well. 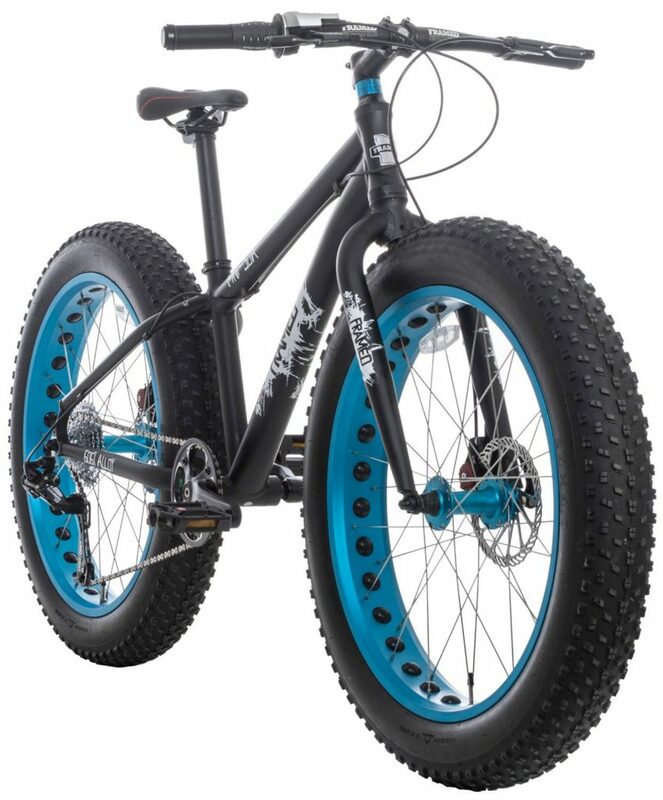 But First, What Is A Fat Bike? Fat bikes are mountain bikes with wide-rimmed wheels and “fat” approximately 4-inch tires. Because the tires are so wide, they can be run with very low air pressure. As a result, they can be ridden on snow or sand. They can also be ridden like a regular mountain bike on singletrack. Because many kids bikes don’t have suspension, the fat tires can also be nice because they provide a little extra cushioning. 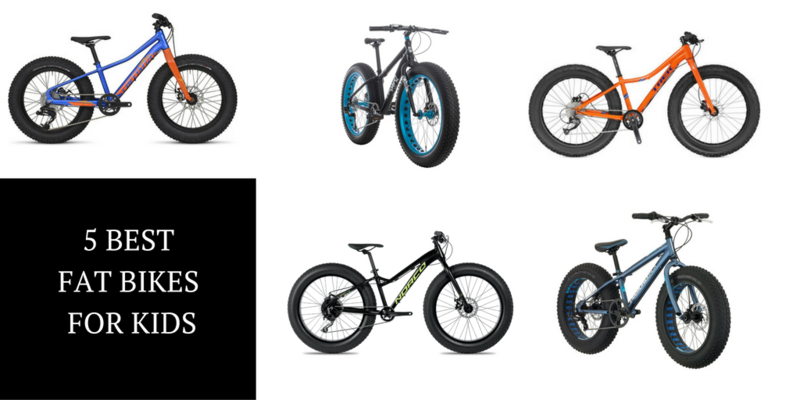 Note: If you’re looking for specs on any of these bikes, make sure to scroll to the comparison chart at the bottom of the article. You’ll find info on wheel size, weight, brakes, etc. 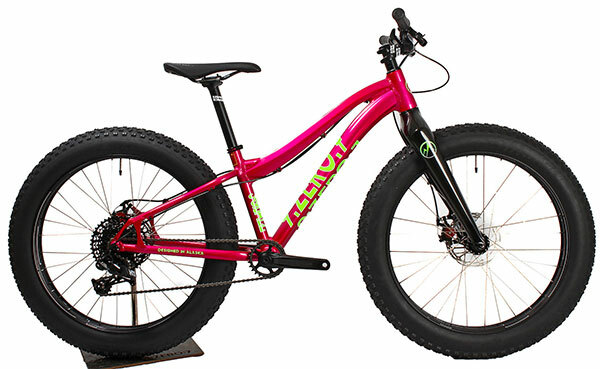 The Kids Fatboy comes in both a 20” and 24” version. This top-of-the-line bike features Tektro brakes, 90mm Specialized-branded rims, and appropriately sized lock-on grips. It’s also the lightest bike on our Top 5 list. The El Oso comes in a Grande and Nino version, so parent and kiddo can be twins. The Nino is a pretty snazzy 20 inch fat bike at a decent pricepoint. The bike is decked out with mechanical disk brakes and Shimano drivetrain. The Mini-Sota is the child’s version of the Framed “Minnesota.” Pretty clever. This 24-inch fat bike comes with high-quality components like a SRAM X4 1×9 drivetrain and Avid BB5 disk brakes. The bike ain’t cheap but it is fantastic. If your family takes winter fat-biking seriously, this is the bike you want. To help offset the investment, the bike will also accept smaller tires for summer time riding. The bike comes with a carbon fork, Avid disc brakes, and SRAM NX 11 speed drivetrain. For a budget bike, this fat bike is pretty decent. It’s not the bike I would recommend for all-day epics, but if you are just looking to play around in the woods or on the beach for an hour or two at time, it will do the job. One word of warning, however: the bike comes poorly assembled and requires a fair amount of set-up work. Only attempt this if you are comfortable working on bikes. These bikes didn’t make our top 5 list but are worth your consideration, either because they have a great price or because they’ll work well on snow. Mid-fat and plus-sized tires on kids bikes are all the fad right now, and because kids don’t weigh very much, these bikes can handle pretty well in the snow. The Salsa Timberjack comes in two versions–the Timberjack 20 and Timberjack 24. 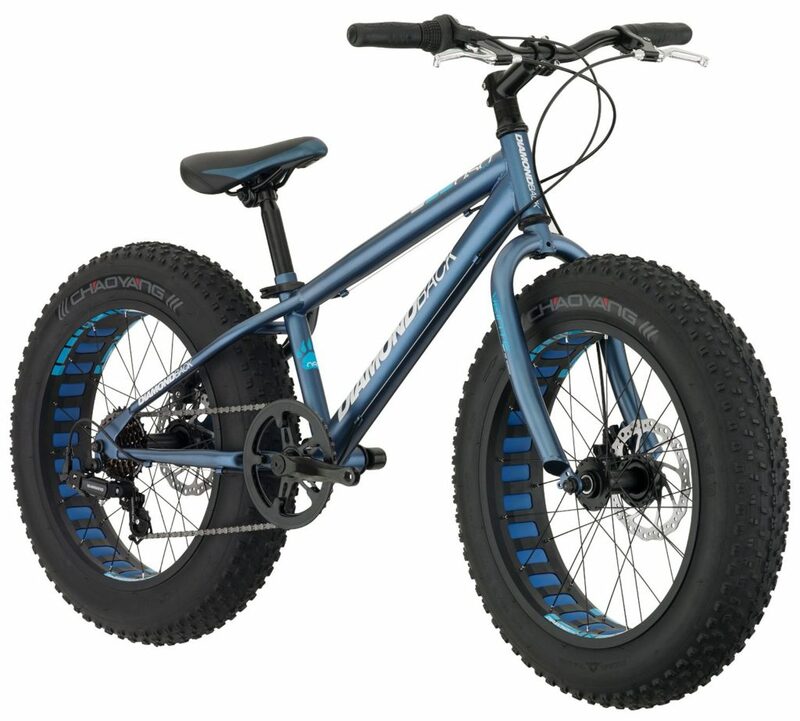 It has plus-sized tires (3″) that are fat-enough for use both on dirt and hard-pack snow. The bike is marketed as an “adventure” bike and has mounts for gear (should your family want to do some bikepacking or touring). To learn more, read our recent announcement on the release of the Salsa Timberjack. 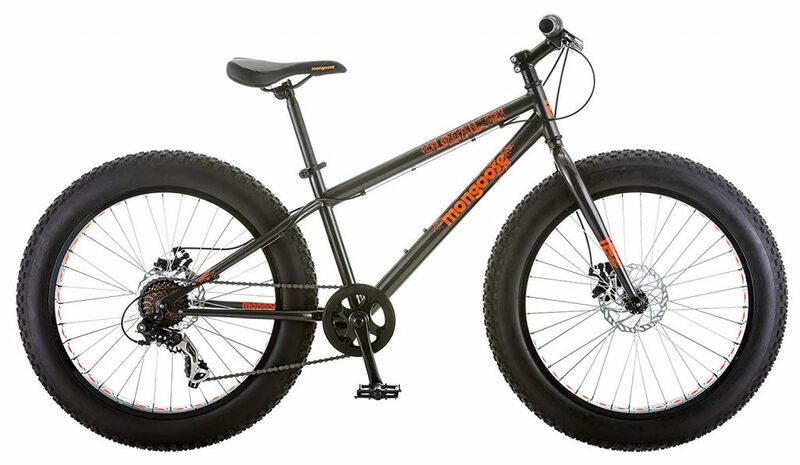 While I usually recommend staying far away from bikes that you can buy at big box stores, the Mongoose Kong is actually a decent bike if you are just want to get out and play in the snow a bit. 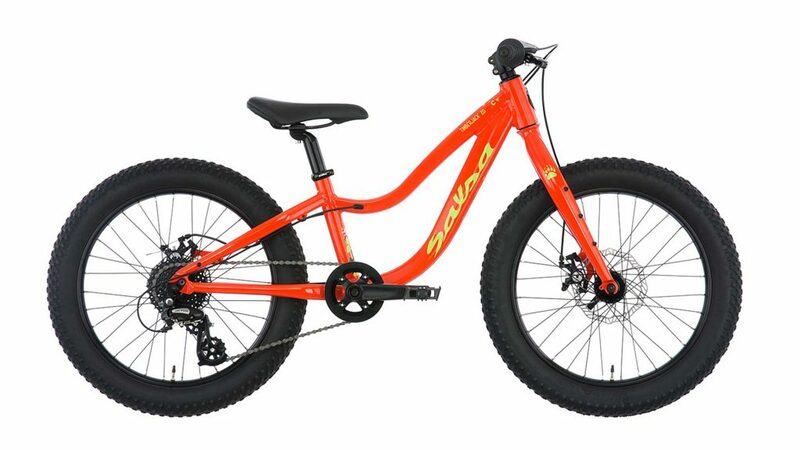 If you are buying a fat bike for your child’s primary mountain bike, I would stay away from this one. This bike technically has plus-sized tires (20×3.0) but in most snow conditions it will still work well. Because the tires aren’t quite as fat, it also has the added benefit of working well as a year-round mountain bike. The only thing I’m not crazy about are the v-brakes rather than disk. The Cujo Plus comes in both a 20 and 24 inch version. It’s surprisingly light for a plus bike and has a lifetime warranty. Score. The components are top-notch including Tektro brakes and a Shimano 7-speed drivetrain. 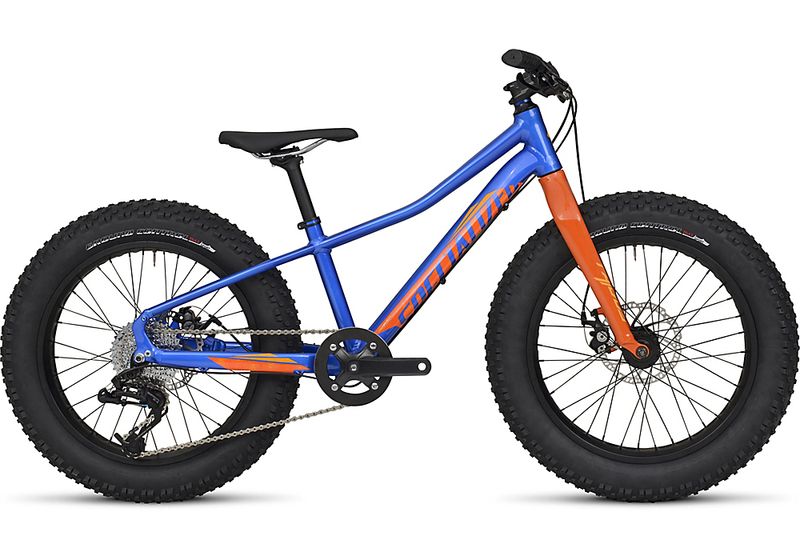 Because of the wide wheels and big tires, kids fat bikes usually have a weight problem-ha! The weights of many of the bikes on this list are comparable with an adult-sized fat bike, but the riders are usually much, much smaller and lighter. This causes a definite body weight to bike weight ratio issue. For this reason, I would recommend choosing a bike based on weight first and components/price second. Assuming you are buying a fat bike for use in snow rather than sand, disc brakes are definitely the way to go. Riding in snow makes for wet riding, and brake pads quickly get saturated. Of course, there are different levels of quality when it comes to disc brakes. Many of the bikes on this list have either Tektro or Avid brakes–both solid choices. While it’s always best to measure your child AND compare to the manufacturer’s guidelines before buying a bike (read this article for tips on doing so), here are some very general guidelines for choosing the right sized bike. Generally speaking, the more you pay for a kids fat bike, the higher quality the components will be. Better quality components make for a more enjoyable ride, lighter bike weight, and longer life of the bike. I always urge parents to spend as much as they comfortably can. Looking for specs on all these bikes? Here’s a quick look at wheel size, weight, frame material, and brakes. Rascal Rides Holiday Gift Guide 2018 + Giveaways!!! 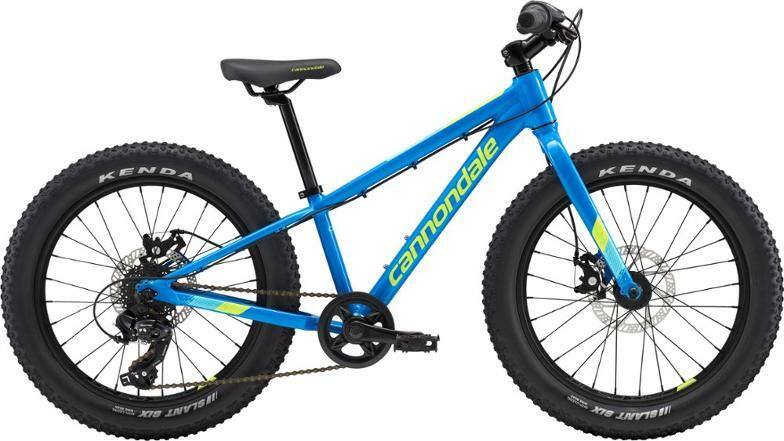 The Cannondale looks like it will be my daughters’ next bikes. 21lbs for only $450?! That’s lighter than bikes that cost twice as much.